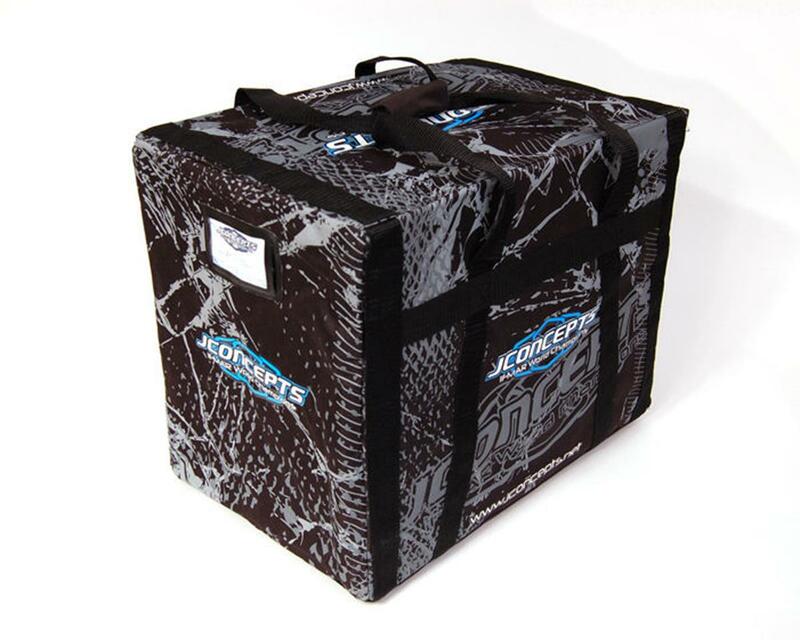 The Small JConcepts Racing Bag, is a compact, multi-purpose equipment bag that can be used for about any of your R/C needs. Its design and proportions allow you to store and transfer just about any combination of compact R/C equipment you desire. There is enough room for 1/10th scale buggies, 1/16th scale vehicles or touring cars as well as room for radio gear, tools, tires, or various other R/C gear. 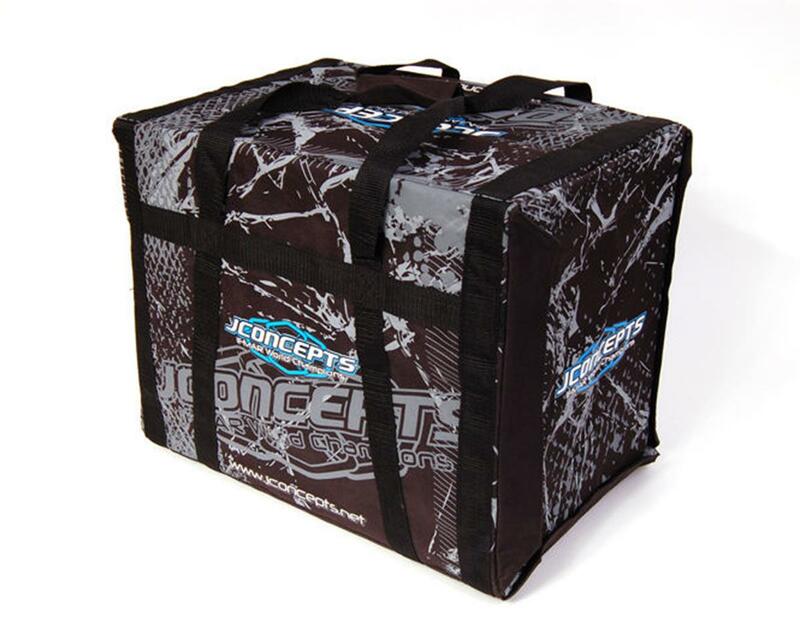 This racing bag has heavy JConcepts imagery and logos printed on each end as well as the sides and top. The front-load Velcro® design combined with composite inner liner allow for easy access to all drawers individually. 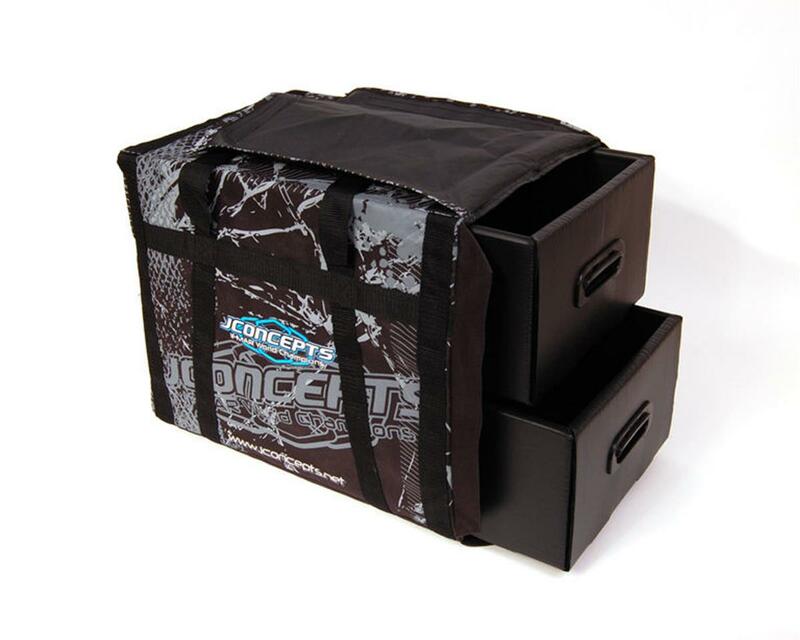 The two composite drawers with divider make the inner workings of the JConcepts racing bag nothing short of spectacular for the organization- minded racer. When assembled, the bag is 18”L x 14"H x 12"W.